Students in grades 4-6 have the opportunity to build leadership skills by participating in our Student Council. Student council is looking for students who are independent and self motivated. Student Council organizes many programs at JFS, including spirit days, spirit assemblies, Walk 'n Roll, St. Baldrick's Fundraiser, Candy Gram Sales, and Smencil Gram Sales. During the summer, students from 4-6th grade, are chosen to participate in a Leadership Development Day. Lead by certified instructors, this day provides research-based, interactive leadership training to students. Students have the opportunity to learn computer science at JF Smith. It helps nurture problem-solving skills, logic and creativity. By starting early, students will have a foundation for success in any 21st-century career path. At JFS, our first through sixth grade students learn computer science fundamentals by participating in the Hour of Code classes with an instructional coach from the district. Research has consistently proven that music and art education build vital critical thinking skills in children. At JF Smith, all our students have access to art. Arts Attack, an award winning, video-based art curriculum system, is used in Kindergarten through 6th grade. This program is designed to teach each child how to express themselves through art and see and experience the world in different ways. The language of art, like the language of words, requires the learning of skills and concepts that will allow the free flow of expression. The goals of Arts Attack are to teach the elements and principles of art and drawing in a developmental and sequential way, as well as to study the art of other artists, cultures and historical periods. At JFS, this wonderful program is lead by a team of dedicated parent volunteers. Students produce a wide range of art products that can be seen all around the campus. Upper grade students participate in an additional art programs. Through the Evergreen Elementary School District, art teacher Amy McCormick teaches weekly hands on art lessons to our 4th through 6th graders. Students in grades 1-6 have the opportunity to participate in theater arts through our annual school play. The after school drama program allows students to fully experience being a part of a theater production from auditions, to rehearsals, to the excitement of the performance, and finally, the reward of applause for a job well done. Students work hard to hone their acting, singing and dancing skills over the course of a 3 month period. In recent years, we have had the benefit of the directional talent of Starting Arts, a nonprofit organization whose mission is the promotion and preservation of quality arts education in public schools. The program also relies on parent volunteers in order to run smoothly. This is always a wonderful experience for the children so be on the look-out for details about each play. students are superstars and the Talent Show is an event where they can showcase their talents. Look for more information auditions and rehearsals on the front page of our school website. Performances are important and all students are expected to perform in the three concerts in December, May and a combined program concert at Quimby Oak at the end of the school year. Registration and classes begin in September. For more information and to register, visit Evergreen School District Music Teacher Mrs. Kolber's Band Program website . Or email Mrs. Kolber. This year all the 5th grade students attend YMCA Camp Campbell. Students experience the thrills of nature through hands-on lessons and activities. Outdoor Science School teachers foster a love for nature and the outdoors, and the development of attitudes and practices that build character and awareness for the environment—all amidst the fun of campfires, songs, and meaningful relationships. Gain independence as they spend 4 days and 3 nights away from home in an atmosphere committed to building healthy youth through asset development. For more information, please visit the Camp Campbell webpage. The ABC Program is a literature-based program addressing important issues like respect, tolerance, honesty, peaceful conflict resolution, taking a stand against bullying behaviors, and refusing to participate in gossip. Volunteers read specially selected books then lead discussions and activities that help teach valuable lessons related to these issues. Get Involved – Become a Volunteer Reader! Become a volunteer and empower a life. For more information, contact the school front office. More information can be found on the Project Cornerstone website. Students in 4th-6th grade can participate in after school Homework Club. Our own teachers assist students with completing their homework. See your child's teacher for more information. Each year a selection of student council students work with a teacher advisor to create a yearbook filled with great memories from the school year. We have a wide variety of after school programs on campus. Students can build robots, learn another language, play the violin, and practice academic skills. Please check Peachjar and our weekly newsletter for more information. 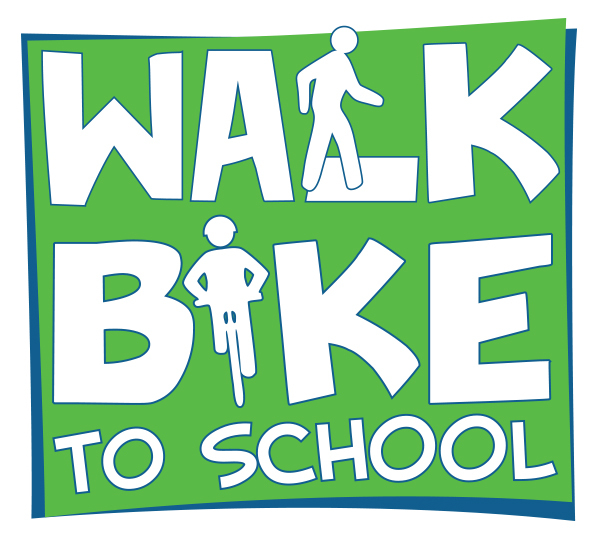 As a part of the city of San Jose's Walk n' Roll program, JF Smith families are encouraged to walk or bike to school to promote daily physical activity, reduce traffic congestion around the school, and learn critical skills that enhance biking and pedestrian safety. This program is funded through the city of San Jose's Metropolitan Transportation Commission's Climate Initiative grant to increase the number of students who walk or bike to school. Since the program began in 2012, there has been a 53.5% increase in the number of students who walk and bike to school at least three times a week. To learn more, visit the Walk n' Roll webpage. Students meet weekly to learn different problem solving techniques and practice solving non-typical math problems. The Math Olympiad contest consists of 5 exams held once a month from November to March. Exams cover advanced math problems and have the same paper for 4th, 5th and 6th graders.